To support, encourage, advance, and cultivate, through volunteerism and fundraising, the musical education of all students in the Olmsted Falls City Schools. 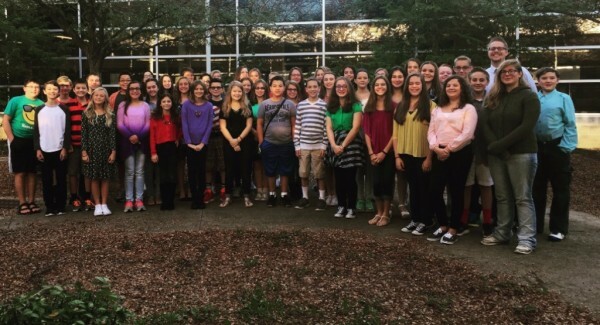 OFMS choirs are designed for students seeking opportunities to learn and perform music in ensemble format. Ensembles include grade-level choirs as well as a Men's choir and Women's choir. The repertoire for each ensemble varies depending on the make- up of the students each year. Students continue their training in tonation, style and reading. Click here to visit the official website for OFMS Choirs. OFHS choirs are Fine Arts courses for students desiring a high school level singing ensemble. These courses vary in ability, performance expectations, and singing objectives. Each ensemble is designed to fit the make- up of the students selected for the group. Music reading skills are required for all levels of the choral experience. Click here to visit the official website for OFHS Choirs.